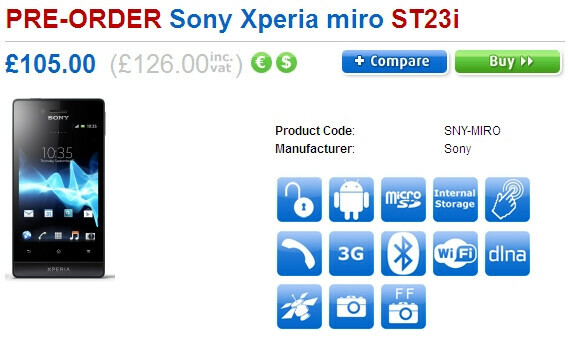 The Sony Xperia miro, which got announced a few weeks ago, does not stand out with much when it comes to hardware specs. It has an 800MHz processor, a 3.5-inch display with HVGA resolution, and a pair of cameras with the main one being of 5 megapixels. So the big question is will this Android smartphone launch at a reasonable price, considering what it has to offer? 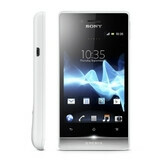 Currently, U.K. retailer Clove is taking pre-orders for the Sony Xperia miro. A little under $200 is what is being asked (£126 including tax, to be more precise), which seems quite okay for such an entry-level Android handset. Note that the Xperia miro is being offered with no carrier subsidy and requires no contract to be signed. The cost of the handset might differ, however, depending on which country you live in, but it isn't likely to deviate much from that $200 price point. Is anybody thinking of getting one? at dis price point its a great buy indeed.... when it will be come to india? I'd better get an 8GB Nexus 7 instead. oh! I love it! price is a lil lesser than what what I am expecting which was $250!